This book serves up history in digestible chunks with big helpings of tasty trivia and a generous dash of nostalgia. How did Tim Tams get their name? Why was Australia’s first commercial olive oil produced in a prison? Did an Australian firm really market dugong paté? The book answers these questions and many, many more. 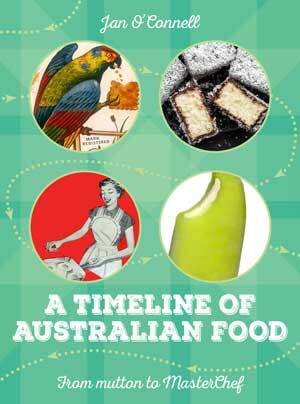 A Timeline of Australian Food is in bookstores now. Or you can order online from the Australia Remember When shop or from Booktopia. You can read some reviews of the book as well as other bits and pieces on where I’m talking about it on my Comments and Reviews page here.